In 1905 a group of Danish immigrants drained land west of Innisfail, Alberta and homesteaded the land they rescued from cat tails and slough. The land they worked so tirelessly to drain turned out to be some of the richest farmland in Western Canada. 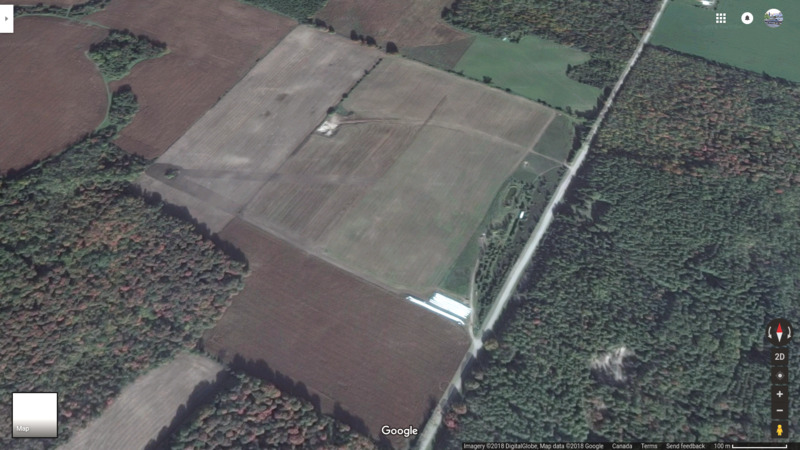 At the very center of this rich soil is a farm, now for sale, owned by the Thompson family. A rare seed farm with manicured lawns and gardens. This farm also boasts its quarters in close proximity to each other with many of these quarters situated in a single block. This extraordinary farm was 60 years in the making and is now for sale. Thompson Family Seed Farms, located four miles from Spruce View, Alberta, has fifteen quarters of the finest high-yield land in central Alberta and is for sale. Three home quarters each with a beautiful home, many hoppered granaries, a grain dryer, a grain cleaner, four quonsets, shops, the very finest in modern farm equipment, two older operational hog barns, truck scale and so very much more are for sale. We are taking offers. If you are interested please contact us. Building highlights. These are just some of the many buildings included in this land sale. 287,000 bushel grain storage with 172,000 hoppered & balanced concrete floors. Quonset, 60X150 Zipperlock, made for grain and equipment storage with in-floor aeration for grain drying. Shop 100x70 ft with front office, bathroom, hydraulic in-floor lift. 2 older working hog barns, can be used to raise hogs. Equipment highlights. These are just some of the many pieces of equipment included in this land sale. Equipment can be removed from the sale offer on request. 2 combines: Claas Lexion 760 Terra Trac (2012); Sprayer: CIH 3330, 100'; Tractor: CIH Steiger 620 Quadtrac (2017); Air drill: Flexi-Coil 58' with 4350 TBT cart; Large power generator capable of powering the main farm; Drive-on weigh scale for transport vehicles. House highlights. There are three amazing homes included. Master's Estate home 3000 sq. ft. with finished basement, 3 car in-floor heated garage, wrap-around mountain view deck, beautiful professionally landscaped yard, Rundel rock fountain, fruit trees, views of the snow-covered Canadian Rocky Mountains. Main farm house 1400 sq. ft. with finished basement, 2 car garage, landscaped yard with fir trees and fruit trees, views of the snow-covered Canadian Rocky Mountains. Farmhand home 1000 sq. ft. with landscaped property, views of the snow-covered Canadian Rocky Mountains. Within 2 miles of Glennifer Lake. Man-made lake with beach, boating, trout pond, camping, 9-hole golf club and resort.